Watching other farmers lose their livelihood shakes us to our core. While working on homework late one night, my roommate crept into my room to inform me about the wildfires, which were sweeping the Plains only a few hours from our home. She told me how her boyfriend’s family lived only a few minutes from the flames and how serious this could quickly become. We turned on the news to find county after county scrolling on the bottom of the screen, listing the areas that needed to be evacuated. 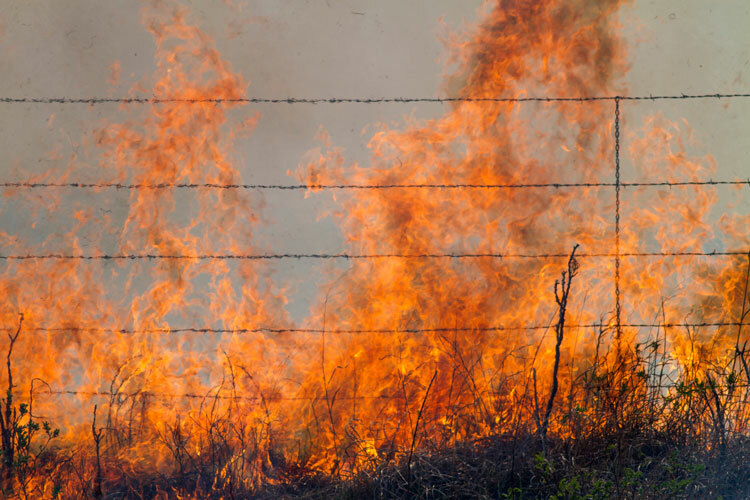 With little rain over the past few months and powerful winds sweeping the Plains, we both knew this wildfire had the potential to be disastrous. The next morning while feeding calves, I watched the sun peek over the Plains, highlighting the hazy sky filled with smoke and ashes. I turned on the news once again, covering my mouth as I saw the damage done in less than 12 hours. Land once filled with native grasses now looked like desert sand. Pictures emerged of livestock and wildlife unable to escape the flames. Stories of farmers risking their lives to protect their passion and profession were all over social media. The tragedy that had occurred touched people from all across the nation. Though I grew up on a dairy farm, I sympathized with the ranchers who lost their livelihood in the blink of an eye. Stories of barn fires and snow-covered buildings collapsing haunt my dreams. Now wildfires have also become a very real nightmare. While I cannot fathom what it must feel like to lose so much in an instant, it brings my heart some comfort to see other farmers rallying together to help those in need. Hay, medication, and monetary donations have all been made to help relieve some of the burden these farmers are feeling. Even dairy farmers from faraway states are pitching in to help the fire victims in the Midwest. Though it will still be quite some time before we see the burned land turn to grassy Plains once again, the efforts of farmers helping farmers will allow ranchers to continue raising their livestock, a sight we all wish to see.